The title says it all here. 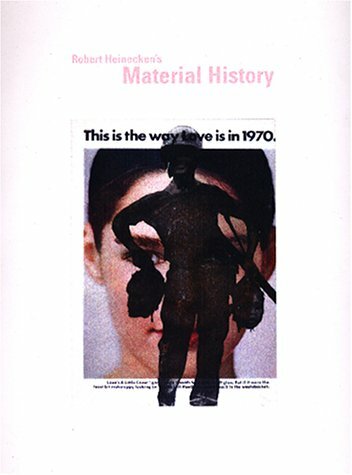 Material History, an oversized, softbound catalogue features both art works and materials from the Heinecken archive at the Center for Creative Photography in Tucson. This important retrospective provides a literal material history of eclectic objects from the artists' life, from his childhood scrapbooks to a button collection to the acrylic ice cube and oversized safety pin he used for teaching. This fascinating glimpse into Heinecken's universe skillfully contextualizes his work from the 60s through Recto/Verso of the late 80s. The book not only provides a glimpse into his working methods, but brilliantly showcases his major portfolios which provide a compelling history or our collective material culture.